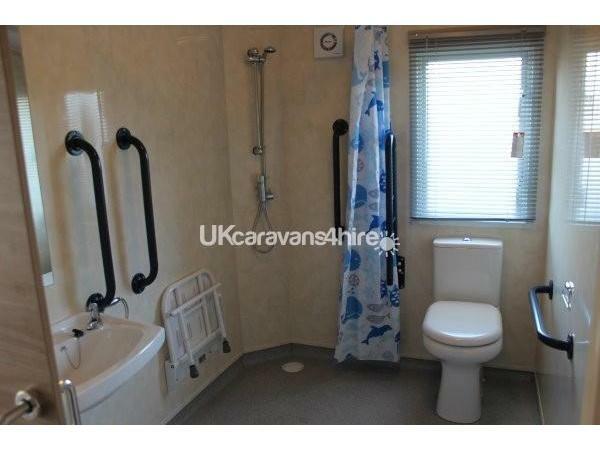 Our new caravan boasts a wet room with two twin bedrooms and a pull out double bed in the lounge. It is adapted for wheelchairs with an accessible ramp. 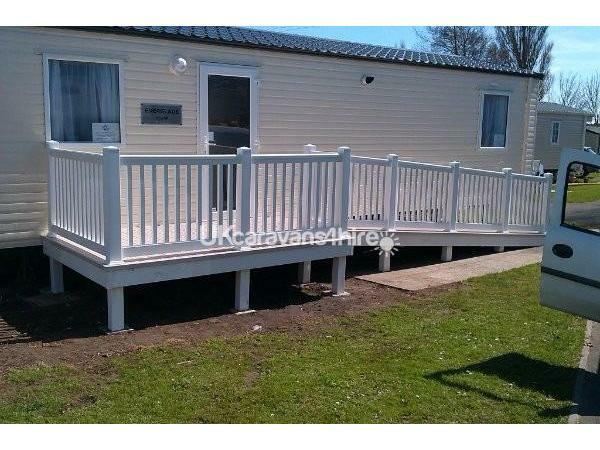 Although it is an adapted caravan, anyone is welcome to book our caravan for a holiday. We do not let our caravan for long weekends. A deposit of £100 is payable on booking the holiday with the balance due six weeks before the date the holiday starts. 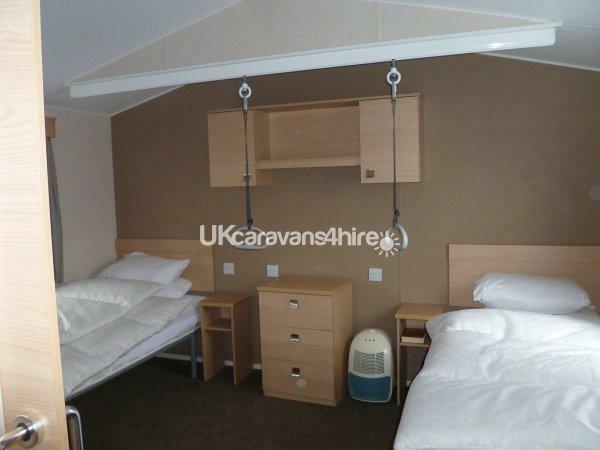 Our caravan is for hire on a weekly basis of Saturday to Saturday or alternatively from Monday to Friday with a 10% discount off the weekly price (this discount does not apply during school holidays). We would need at least one weeks notice to process a booking with us. WE DO NOT LET OUR CARAVANS FOR LONG WEEKENDS. Our caravan is on the owner's part of the Rockley Park Holiday Park, Pine Ridge. This is a popular Haven Holidays park. There is a view of Poole Harbour from the caravan and the nature reserve is just across the road. Down to the right is a lovely walk down to the small bay where the water sports are performed. Rockley Park offers free access to the heated indoor pool and heated outdoor pool with children's paddling area, indoor Splashzone, fun inflatables. There is also football coaching, junior segways and "paint a pot" and sand art. There is also an all weather multi sports court, tennis courts, mini archery, target shooting, football and tennis. Nature Rockz with its own park ranger and area ranger station, soft play area and funzone play area. For a small cost you can take part in pool kayaking, aquajets, aqua gliders, turbo paddlers, learn2swim, Rockley Watersports, tennis, archery and fencing coaching, climbing wall with abseiling and power fan, luxury spa complex, bungee trampolines, pool tables, crazy golf and breakfast with the characters. If you like to eat out there is a fish and chip restaurant and takeaway, the mash and Barrel bar and restaurant with an upper sun terrace and a Papa John's Pizza. There is also a mini market, a hire shop, a launderette. Wifi is provided by a third party and details are from reception. There is various entertainment provided by the park throughout the day and into the evening including a Kids Club. Poole has a lovely beach and a natural harbour with several islands, including Brownsea Island. Sandbanks is nearby. Local points of interest are the Farmer Palmer's Farm Park which is 6 miles away; Bournemouth is 8 miles away; Go Ape is 17 miles away, Swanage Railway is 19 miles away and Paultons Family Theme Park is 32 miles away.